Andros is an island distinguished for its charming landscape, stunning beaches and naval tradition. This is a more alternative and quality destination for summer holidays, as it also offers cultural tourism. Top sightseeing in Andros consists of monasteries, chapels, ancient sites and places of extraordinary natural beauty. Its capital, Andros Chora, is a picturesque village, where you will find elegant studios for your stay, and many sightseeing options, including the Nautical museum and the Goulandris Museum of Modern Art. 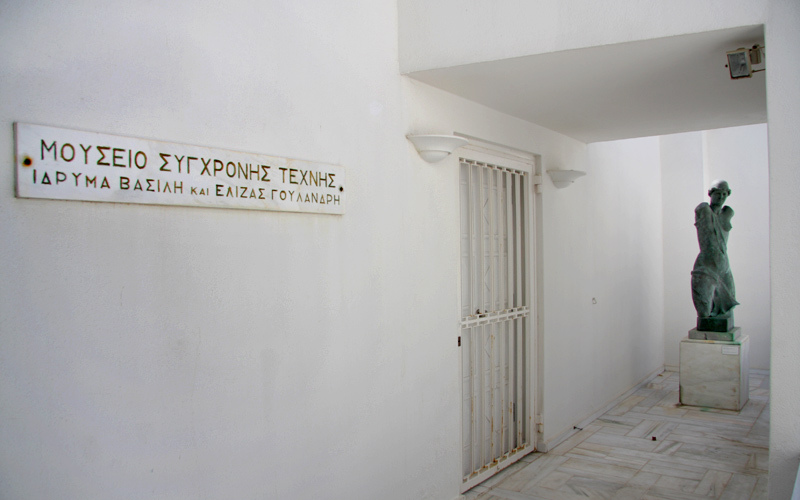 In 1979 the Goulandris Museum of Modern Art, founded by the Basil and Elise Goulandris Foundation, opened its doors to the public in the beautiful capital of Andros. The museum hosts a permanent exhibition with the works of the renowned sculptor from Andros, M.Tombros, and a fine art collection by some of the most important representatives of contemporary sculpture. 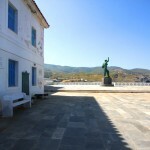 Each summer, in the new wing of the museum, inaugurated in 1986, there are temporary displays of the works of famous 20th century artists, both Greek and international. Its current exhibition presents the art of Man Ray. Goulandris Museum of Modern Art is open daily, except Tuesday, during the summer from 10:00-14:00, but in winter, its opening days reduce to Saturday, Sunday and Monday. The Nautical Museum in Andros was inaugurated in 1972 and has been, since, preserving historical nautical items discovered on the island. It is situated at the square of the Unknown Soldier with great views to the sea. 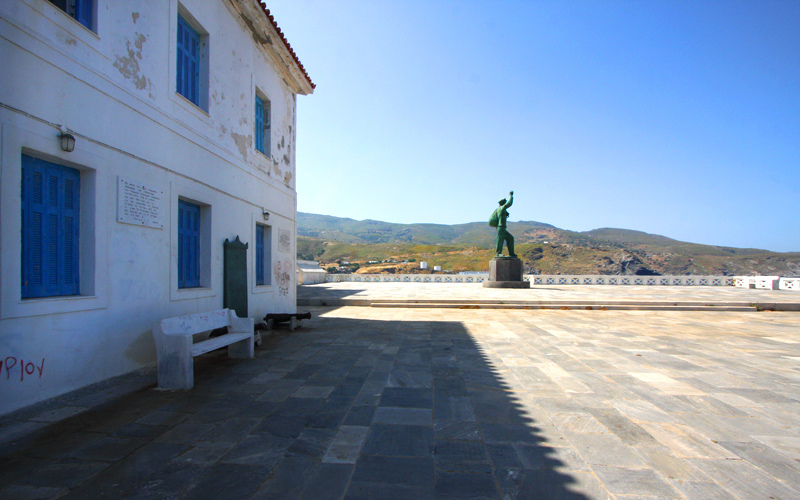 Housed in a charming neoclassical mansion, the Nautical Museum is a top sightseeing in Andros, as it presents the history of its people and their affinity to the sea. In the Nautical Museum a rich collection with original naval objects is exhibited. Some of the most important findings include old freight contracts, insurance contracts, models of ships, lithographs and nautical diaries. The exhibits date from ancient to modern times. Among the top sightseeing in Andros is the Byzantine monastery of Panachrantou, constructed by the Emperor Nikiforos Fokas in the 10th century. The monastery is a very interesting sight both architecturally and historically. Located in the beautiful mountainous area of Gerakones, about 750 metres from sea-level, it appears like a Byzantine fortress, due to a strong surrounding wall. The monastery of Panachrantou is dedicated to the “immaculate” Virgin Mary and it hosts the icon of Panagia Panachrantou, attributed to St.Luke, and the relic skull of St.Panteleimon.